Are you looking for a high quality class B motorhome that promises to meet all of your needs wherever you are? If so look no further than the delightful Hymer Aktiv Class B motorhome. This RV offers you the confidence that comes with knowing your RV was built with quality, offers everything you need to feel comfortable on the road, and will last for years to come. Read our Hymer Aktiv class B motorhome review to learn more. Do you love to cook? If so then you will absolutely adore the kitchen in the Aktiv. 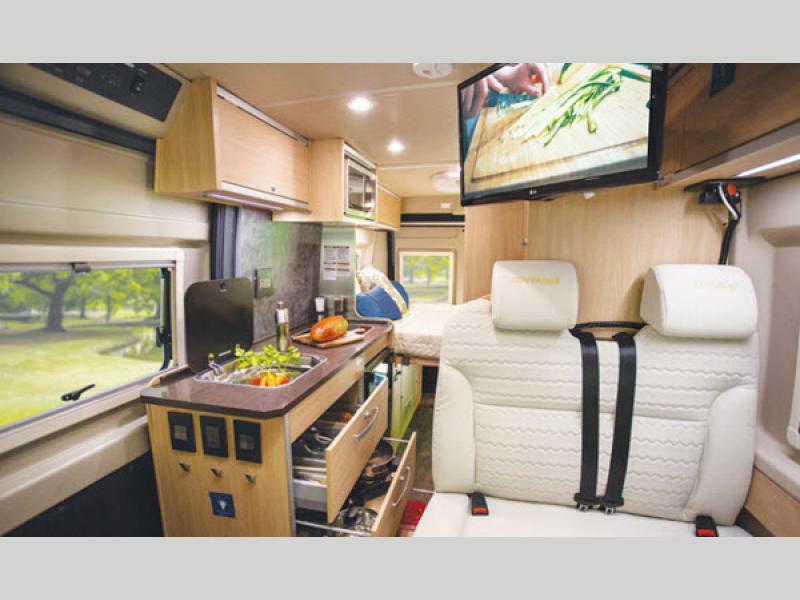 It comes with everything you need and then some to make amazing meals on the road. So whether you’re planning to hit the south and want to cook up some traditional southern fare or head north for a fishing trip and plan to cook the catch of the day, you will love every minute you spend in this RV. How great is it knowing that at the end of a long day you can just hang out at thee back of your RV and take a snooze before heading out for fun and adventure? 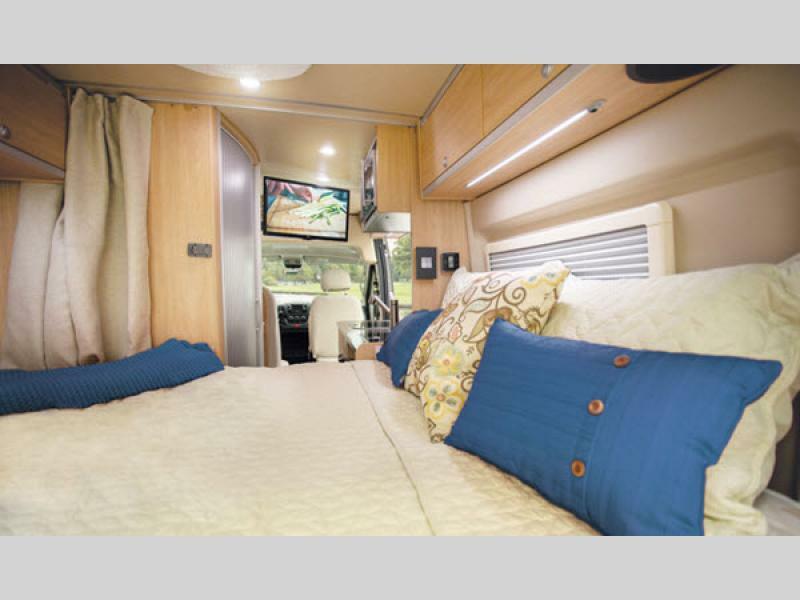 The Aktiv’s bedroom comes with a foldable rear queen sized bed that is plush and inviting. You will love having this private space to unwind in and rest before, during, and after your incredible adventures. 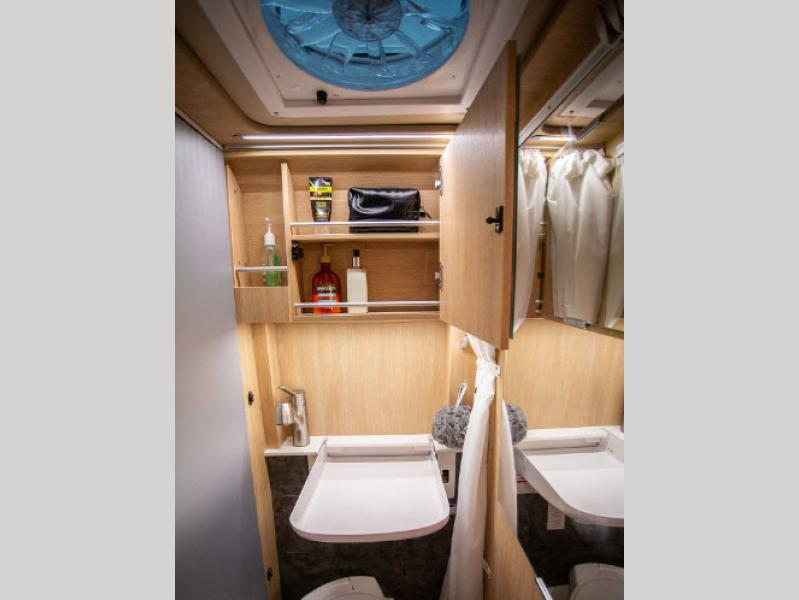 One of the best things about this RV is that it comes with tons of ingenious storage solutions that promise to make life easier. From the bedroom to the bathroom to everywhere in between, you’ll appreciate the overhead storage, uniquely placed cabinets, and tucked away areas that offer space for all of your favorite items. If you’re interested in learning more about our selection of Hymer Aktiv class B motorhomes for sale, contact us. We can answer any questions you have and make sure you have the information needed to make the best decision for your needs. We can also assist with RV financing.